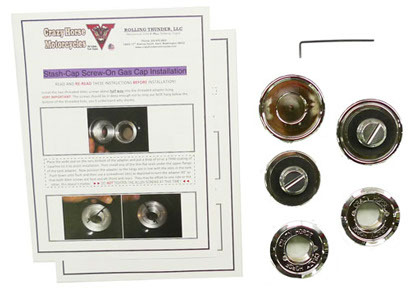 A great solution for the keyed gas caps on the 2002-2004 Gilroy Indian Chiefs as well as the 2001-2003 Gilroy Scouts and Spirits. 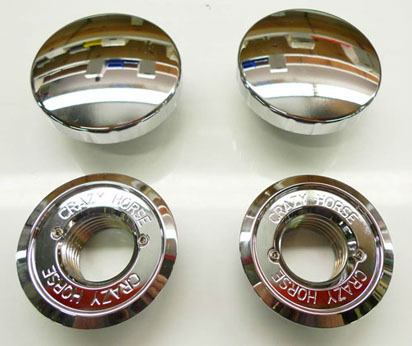 The adapter plate is placed in the tank and the caps are threaded into the adapter. Installs in minutes with just an Allen wrench (supplied) and are not permanent and can be instantly removed but once installed it remains securely in place. The paint saver design prevents water puddles around the bottom edge so there is no gas contamination and no more frozen caps. Easily removed with gloves on but still low profile. 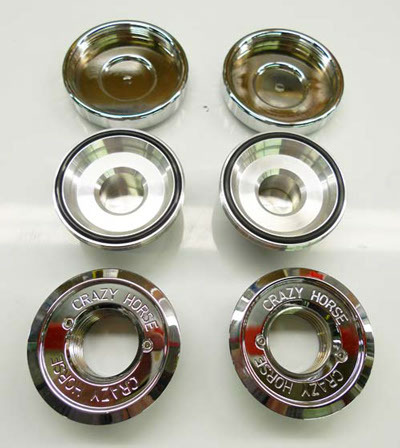 The caps are available in either an anodized finish or chrome.